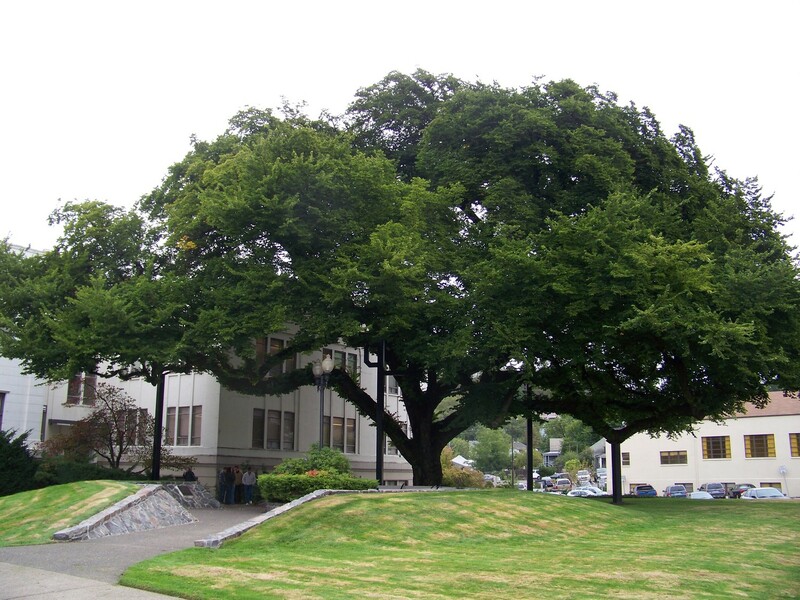 What does it take for a tree to be recognized as an Oregon Heritage Tree? Oregon Travel Information Council researches each tree nomination with a dedicated group of volunteers. Certain criteria such as accessibility to the public, tree health and historic significance all play a role in whether or not a tree or grove qualifies. Honored groves, single trees or groups of trees have something in common with one another no matter what the species – they are trees that tell a story; trees that confound and astound; trees that educate both Oregonians and visitors about significant people or events from the past; trees that have survived natural disasters or stand as silent sentries to the passage of time. And that’s only a small part of what makes an Oregon Heritage Tree compelling. Serving on the Heritage Tree Committee are experts from many fields, including forestry, parks service, geological and environmental studies and heritage programs. The all-volunteer Heritage Tree Committee is always interested in new members and young ideas. You just need to love and appreciate trees and be willing to attend quarterly meetings. Although certain trees may not qualify for statewide heritage tree designation, many community programs exist. Cities and counties that provide or oversee such programs do so under their parks and recreation or city planning and zoning divisions. Use our directory to search for community heritage tree program criteria, tours, maps, brochures, and nomination forms. Oregon Travel Information Council (OTIC) and the Oregon Heritage Tree Program have established a new statewide award in Maynard “The Tree Man” Drawson’s name. The annual award will honor individuals (or groups) who have championed Oregon’s trees with the same fervor and success as Drawson. For more information about the nomination and the application process, please link to our Maynard Drawson Award nomination web page. Interested in nominating a tree? Read more about the nomination process. Would you like to serve on the committee? Contact us.